Red5 wrote: No, as the adjustment is to the bearing face of the hub. The wheel just bolts to that, so adopts the angle it is sitting at. I have a 118d M sport and I need new front tyres for MOT. Can I put 225/45/17 on the front as well as the rears. They are a lot cheaper than the 205/50. Will it change the speedo much ? I have e87 with coilovers. Will these fit? Gibbyd wrote: I have a 118d M sport and I need new front tyres for MOT. I ran 225/45 all round on my 120d M Sport, no issues. Aleksi wrote: I have e87 with coilovers. Will these fit? I think you're going to get a lot of 'poke' with that set-up! 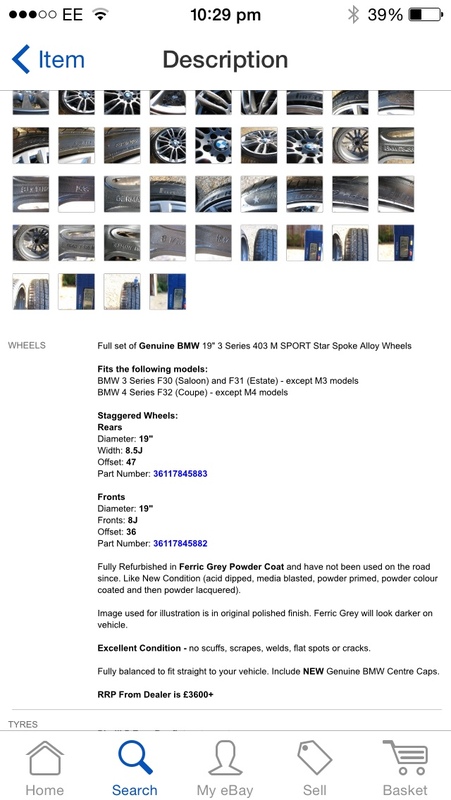 Have pulled the trigger on 4 pirelli P zeros, being fitted on Tuesday. £400 fitted. Staying on runflats because the wife uses the car too and feels safer with them. She has the P Zero on her Mini and they feel like normal tyres compared to my Bridgestones which feel rock hard and tramline. Had my Pirelli's put on after a battle getting the locking wheel nuts off. They broke one locking adaptor and in the end destroyed the wheel nut getting it off. I picked up 4 new studs from BMW and dropped them in instead. Don't want that kind of hassle ever again. Pirelli's feel very squirmy at the moment until they scrub off a bit. I've a 118d M-Sport with 205/50R17 fronts and 225/45R17 rears. However, I'm struggling to find a 205/50 for the front and reading the last few posts, Marco suggested that settling for a 225/35 R17 all round would be fine? Could someone confirm I've understood this correctly, and if anyone has experience of this could they comment of the effect this has on steering? is it okay to replace 205/50R17 fronts to match 225/45R17 rears? Is there any noticeable effect on steering? Yup, fine on 7" front rims. Slightly less understeer, which is good. Slightly heavier steering at Very slow speeds, I doubt you'd notice 99% of the time. Sounds like a win-win really. Don't know why this isn't fitted as standard. Newbie here, I have a '08 118d e87. Can anybody tell me if the wheels below will fit please? 225/40/18, 8.5J, ET47 front and back. I'd double check they clear the front struts before handing over your hard earned dollar, I wouldn't be surprised if you needed a spacer?